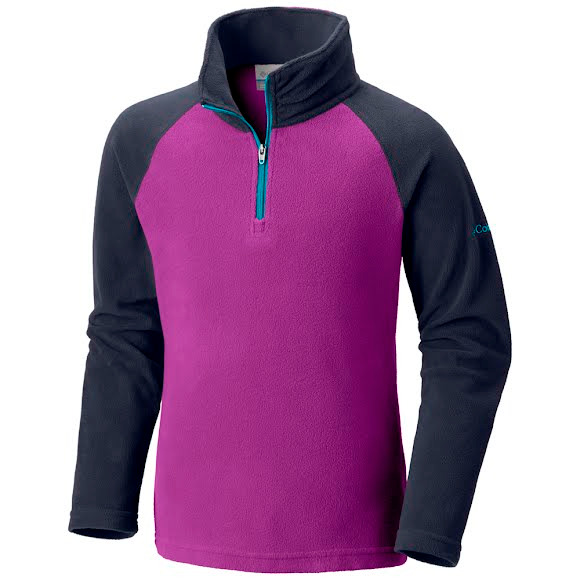 Ulitmate comfort comes together with great style to create the Columbia girl's Glacial Print Half Zip. This half zip features soft microfleece that is fuzzy on the outside, smooth on the inside, and treated to an anti-pill finish, so it won't shed on your other layers. Ulitmate comfort comes together with great style to create the Columbia girl&apos;s Glacial Print Half Zip. This half zip features soft microfleece that is fuzzy on the outside, smooth on the inside, and treated to an anti-pill finish, so it won&apos;t shed on your other layers.